Wind up battery wants to save the world. As humans, we've begun to realise just how much our actions affect the planet and its creatures, each of which is precious and has its own place in the global scheme of things. The answers as to how to ensure that we don't make more animals or even ourselves extinct are complex, but one thing is for certain, we need to live in a sustainable way. A new study in November 2014 has found that polar bears in the Canadian Arctic Archipelago may be at risk of starvation and reproductive failure by the end of the 21st century. 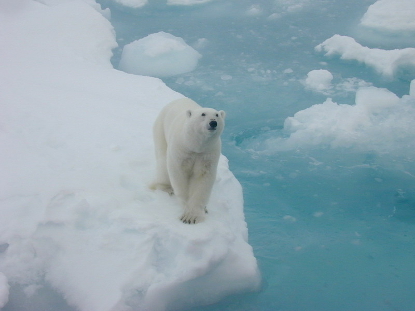 Throughout the world, or at least the icy northern parts of it where polar bears actually live, the global population of polar bears is split into 19 separate sub-populations. Seven of these subpopulations reside in the Canadian Arctic Archipelago, comprising about a quarter of the world's total polar bears and almost a tenth of the global polar bear habitat. It has previously been thought that the Canadian Arctic Archipelago and Greenland were the most likely places for Polar bears to survive global climate changes until the end of the 21st Century. A Nissan LEAF electric car recharging at an eVgo Freedom station. In a charge period of 15 minutes the station can provide the vehicle with enough power to travel an extra 50 miles. Are you curious about electric cars but never taken the step of trying one out? Now there's an added incentive, as just by taking a test drive you can actually help to plant trees in areas devastated by tornadoes and drought. 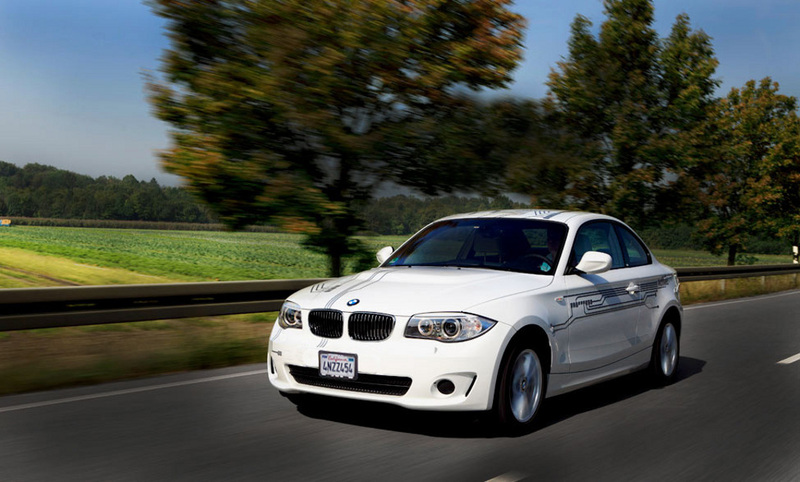 The BMW ActiveE Electric Car. Electric cars could well be one of the answers to a sustainable future, but currently unless you can find a recharging station that actually uses electricity produced in a renewable way, like a wind-powered Sanya Skypump or a solar powered recharging station, you'll find the electricity which goes to charge your vehicle originates from the electrical grid. As such, a good deal of that electricity is likey to produced at power stations which burn those nasty old fossil fuels like coal, oil and gas. The UGE-4K wind turbine of the Sanya Skypump rotates almost silently around its vertical pole axis, at less than 38 decibels at a rated wind speed of 12m/s (26 miles per hour) and can survive windspeeds of 123 mph. The world's first wind powered electric vehicle recharging station has been opened near Barcelona in Spain. Offering a completely green solution to recharging electric cars and other vehicles,the station uses a combination of an innovative 4 kilowatt vertical wind turbine,called UGE-4K, made by Urban Green Energy and a charging unit known as Durastation from General Electric. These are integrated as a single unit, with all of the electrical systems in the turbine's tower itself. As we all know, the production of solar energy from photovoltaic cells can be used to power our homes and appliances without producing greenhouse gasses which pollute the air. No fossil fuels are burned in the process of creating solar power, but one thing that many people don't take into account is the fact that the plastics which are used to make much of the solar cells themselves are usually made from petrochemicals which are derived from petroleum, in other words crude oil. Solar cells are becomng increasingly commonplace and research is constantly being done into new materials which may be introduced in the future to improve efficiency and cost-effectiveness. We have learned over the years that it's never a good idea to bet against silicon completely being replaced, but there are some very interesting thin film materials which are coming into play. 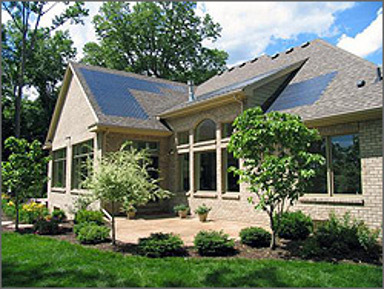 Thin-film solar roof tiles on a house in Ohio. Photo courtesy of the USA National Renewable Energy Laboratory. The use of building integrated photovoltaics is one of the inspired ideas that organisations like USA's National Renewable Energy Laboratory are trying to move toward being deployed in a large scale. When considering the design of a new building, the ideal situation would be that people could use the solar cells as part of the skin of the building by replacing the traditional materials used for a roof or facade. This could potentially save money with the photovoltaic module serving both functions of the waterproof skin of the building and generating electicity. Many people first became excited about convering sunlight to usable energy to power devices in the 1970s when the first boom in solar power happened. There is something special about the direct conversion of sunlight to electricity - a solid state device that sits there quietly and does its job with no movement or moving parts. Solar cells have been deployed all around the world which are often still working even as much as 25 to 30 years after they were first installed without maintenance or the need for refurbishment in a way that a mechanical system would require. Green House Designs at the Solar Decathlon in Washington. Photo courtesy of Stefano Paltera/U.S. Department of Energy Solar Decathlon. Click for a larger version which will open in a new page. The Solar Decathlon is an interesting and exciting competition in the USA where teams of college and university students compete to design the most attractive, effective and efficient solar house. It is the brainchild of the program manager of photovoltaics at the USA Department of Energy, Richard King. He has been involved not only in the research and development side of things but also in trying to think about what will stimulate the public's interest in using energy more efficiently.